We all like to think we're inherently good people. But if you put a kid in front of a bowl of sweets with no adults there, they'll steal sweets. If you put a kid in front of a bowl of sweets with a mirror behind it, they'll still steal sweets. But not quite as many. Because they can see themselves. 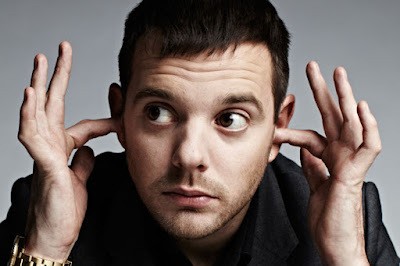 If you're in a situation where you can do pretty much whatever you want without anyone calling you to account for it, it's probably a good idea to compare your view of yourself with other people's now and again. 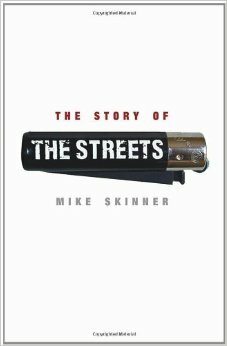 Been listening to Mike Skinner's autiobiography on audiobook, The Story Of The Streets. It's phat. Really interesting, about growing up in Birmingham and the start of the garage scene and going from nothing to something and all that entails through the eyes of someone who's glaringly clever but sees it as his aim to write as simply as possible. And if you liked the sound of his voice on all his tunes, then you'll like it even more because he narrates it. It was on of the hardest things i've ever done. I'm really into audio books. When the writer is reading it, i rate them so highly. It's really hard. It took three days in a studio behind Kilburn. It was so weird, because it was at the end of this very glittery period in my life and it was like being back at my first job. I'd get up at 8 o'clock, head across London to a place i didn't really know, go to an office with people i didn't really know, get a cup of tea, and read this book for eight hours. Have you ever recorded yourself reading a book without making a mistake for eight hours?